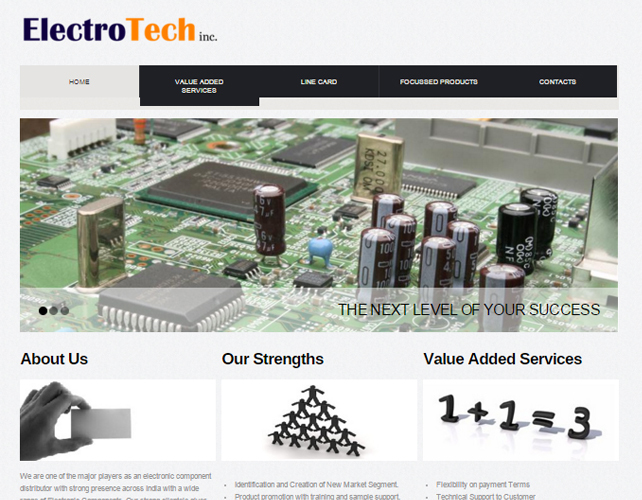 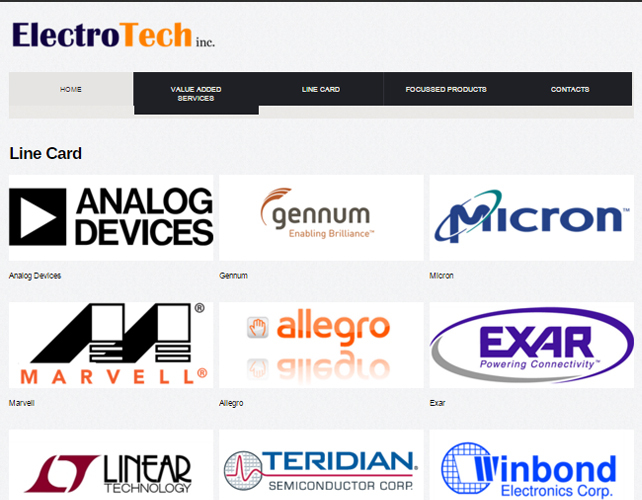 Electro Tech is a California based electronic component distributor, operating across USA. 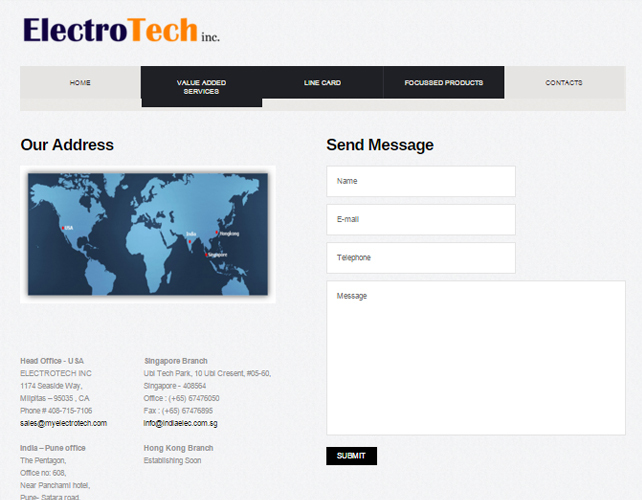 Their excellent delivery turnaround time has garnered them a strong client’s base. 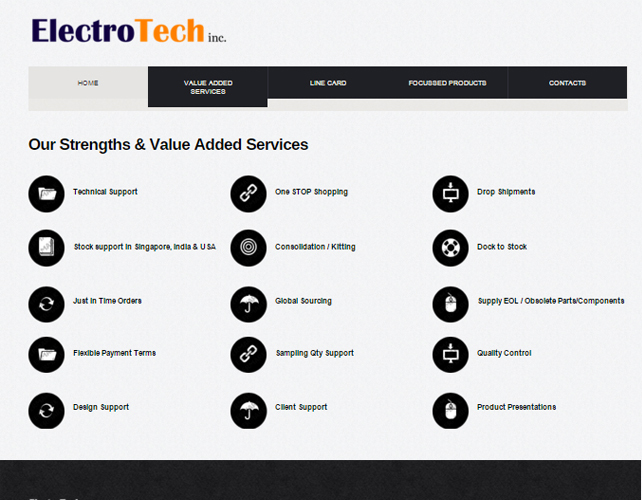 They also offer technical support services to their customers. 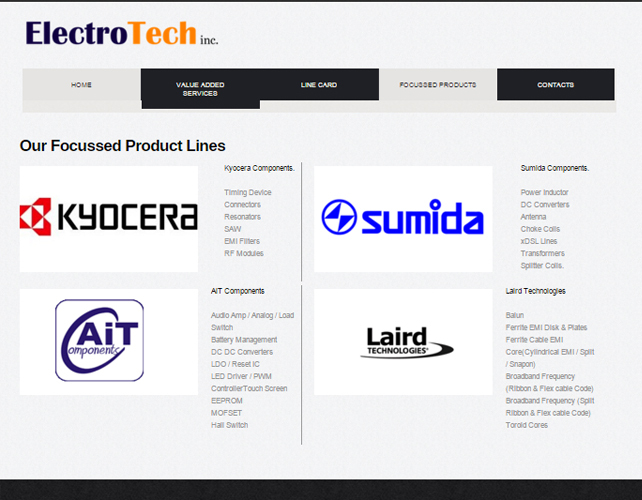 Their flexibility on payment terms made them popular across all their clients.